I enjoy being able to donate a whip to a good cause. Unfortunately, I don’t always have the time to make one for every good cause that’s out there. 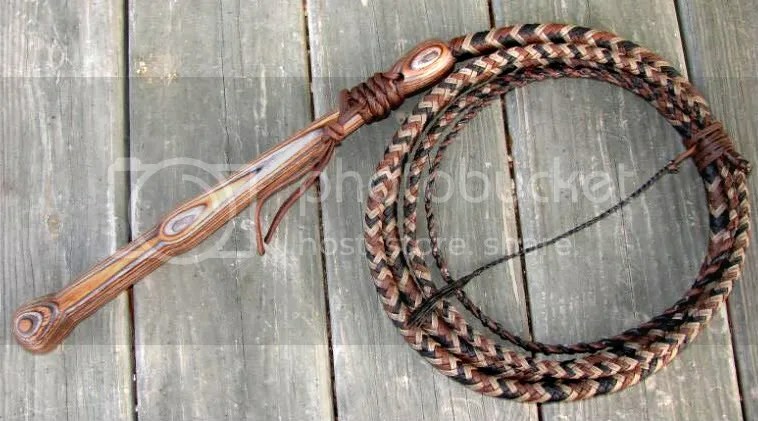 This year I am pleased to say that I did manage to make a very special 10ft cow whip to donate to the Florida Cattlemen’s Foundation. This whip will be sold in a silent auction next month during the Florida Cattlemen’s Association 2009 annual convention at Marco Island, Florida. This entry was posted on Monday, May 18th, 2009 at 7:50 pm	and posted in Cow Whips. You can follow any responses to this entry through the RSS 2.0 feed.